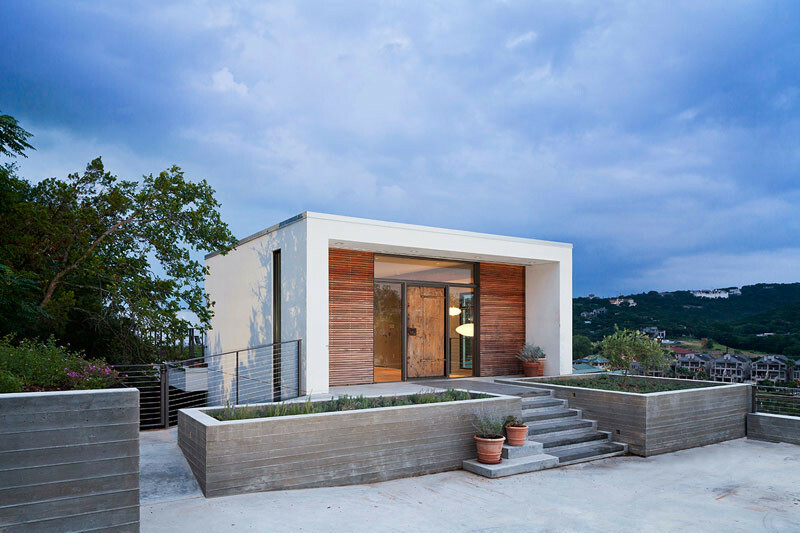 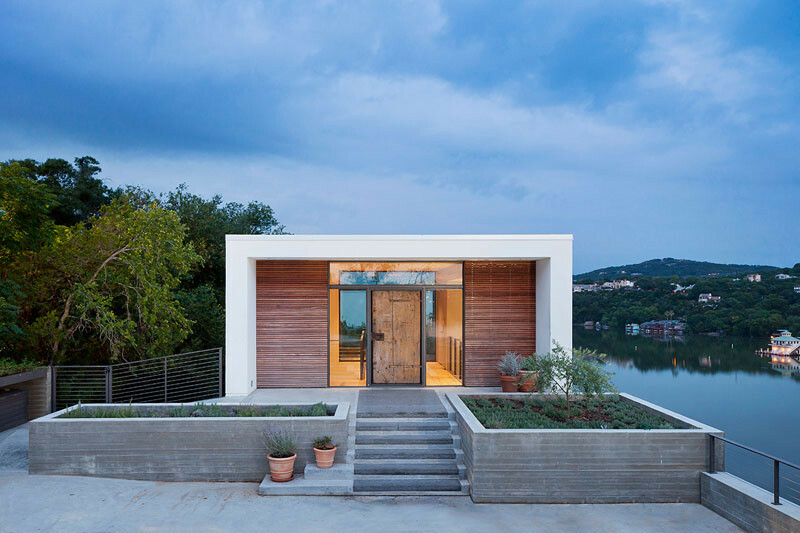 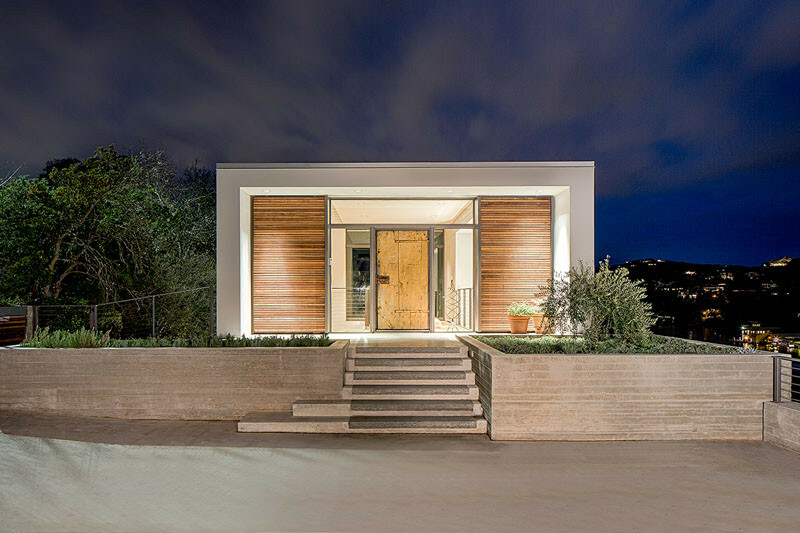 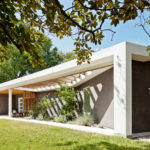 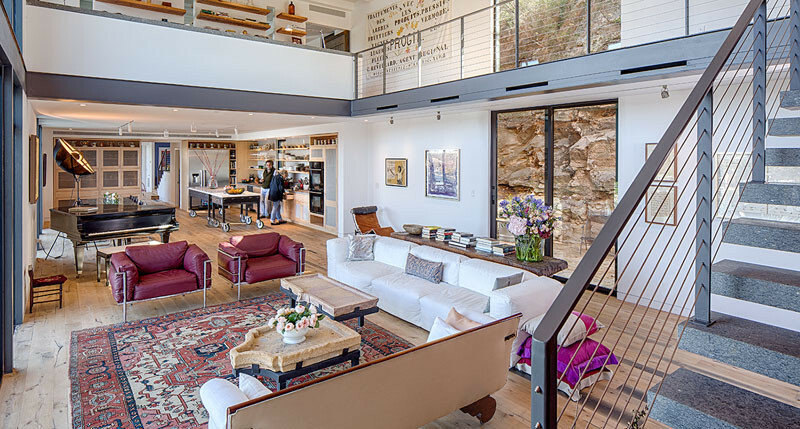 Specht Architects together with Louise Harpman, designed the renovation of this home, that is suspended on a narrow limestone ridge halfway down a cliff, overlooking Lake Austin in Texas. 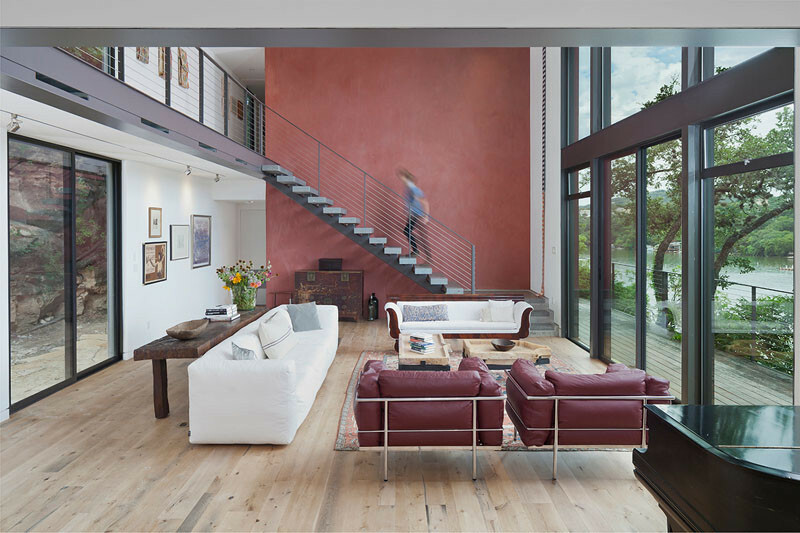 Building upon the frame of an existing 1970s-era structure, the designers created a warm and welcoming home for an elderly couple. 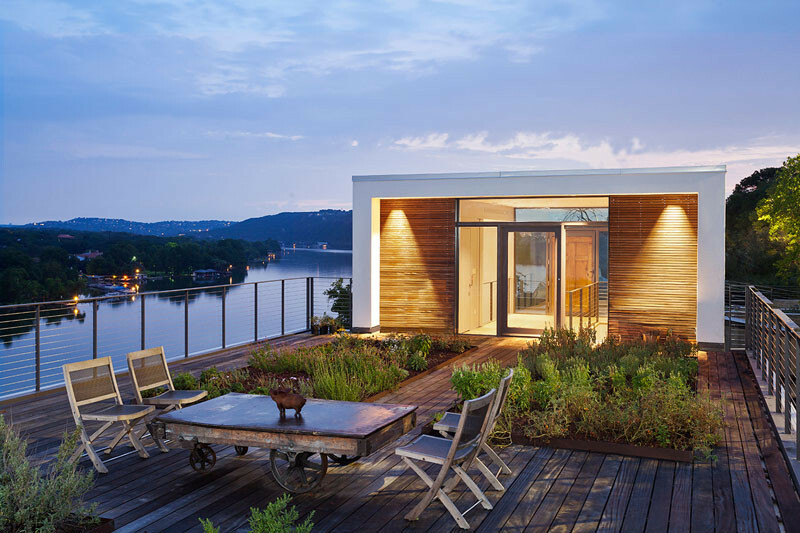 The home has a rooftop herb garden with seating that provides uninterrupted views of the river below. 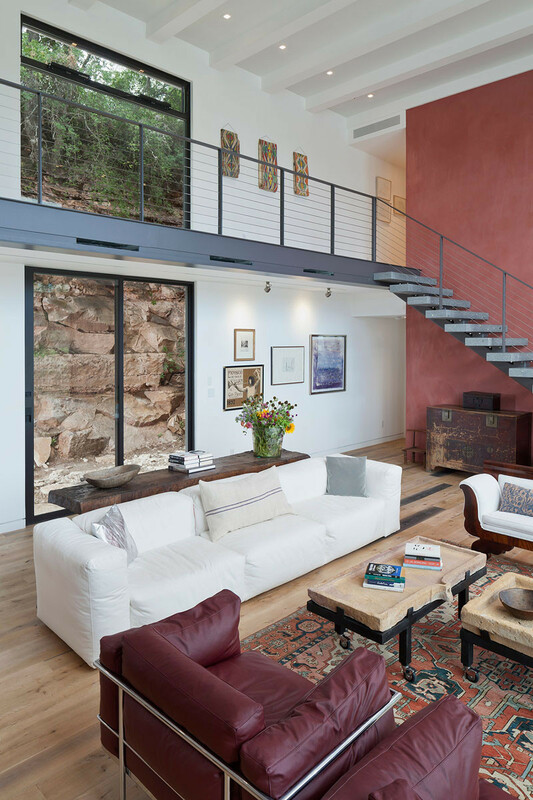 Inside, you can see just how close to the cliff the home actually is through the large windows. 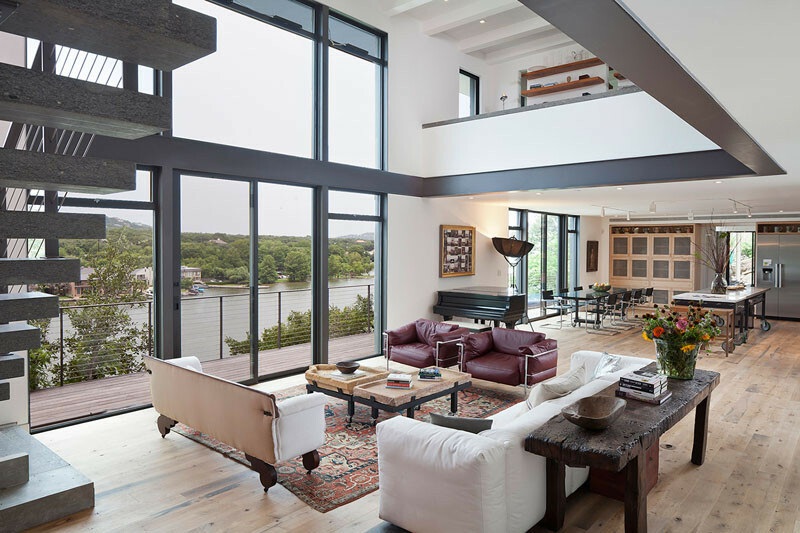 The other side of the living room opens up to views of the surrounding area. 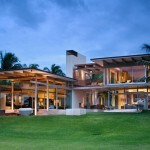 The home has an open floor plan for the main living, dining and kitchen areas. 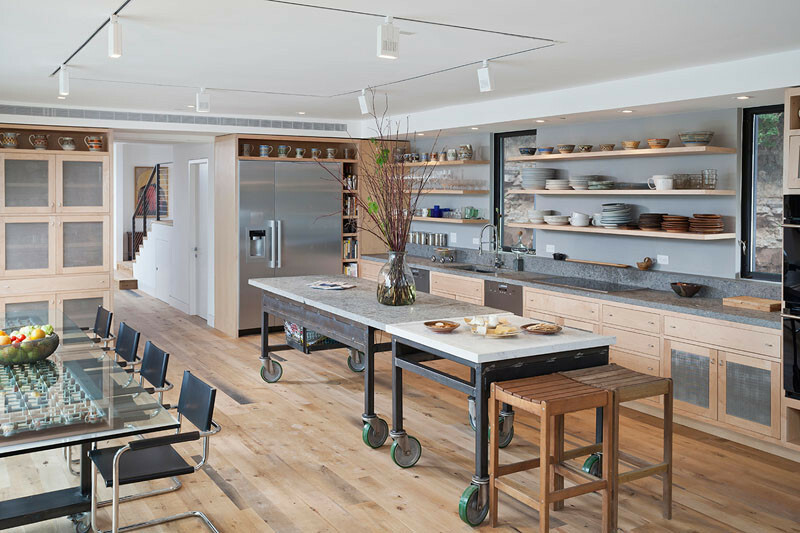 The kitchen has design elements, like open shelving, and multiple piece kitchen island that can be moved when needed. 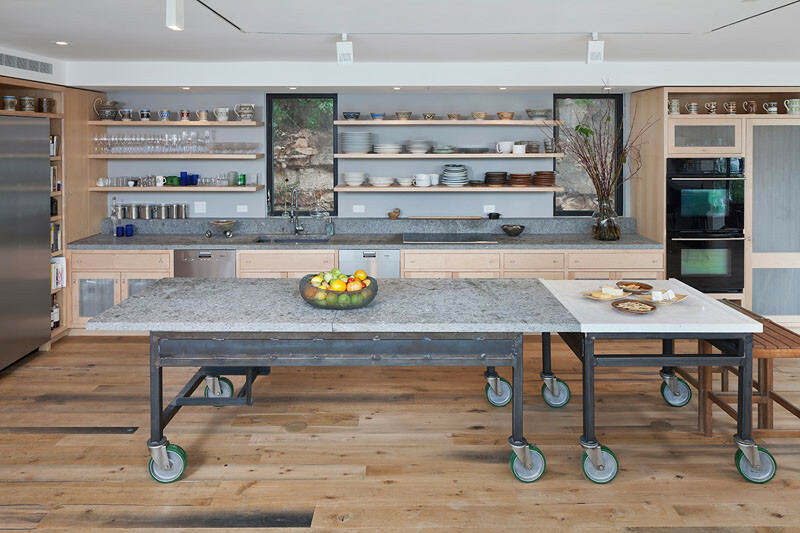 Here you can see how the island is two pieces, both with wheels. 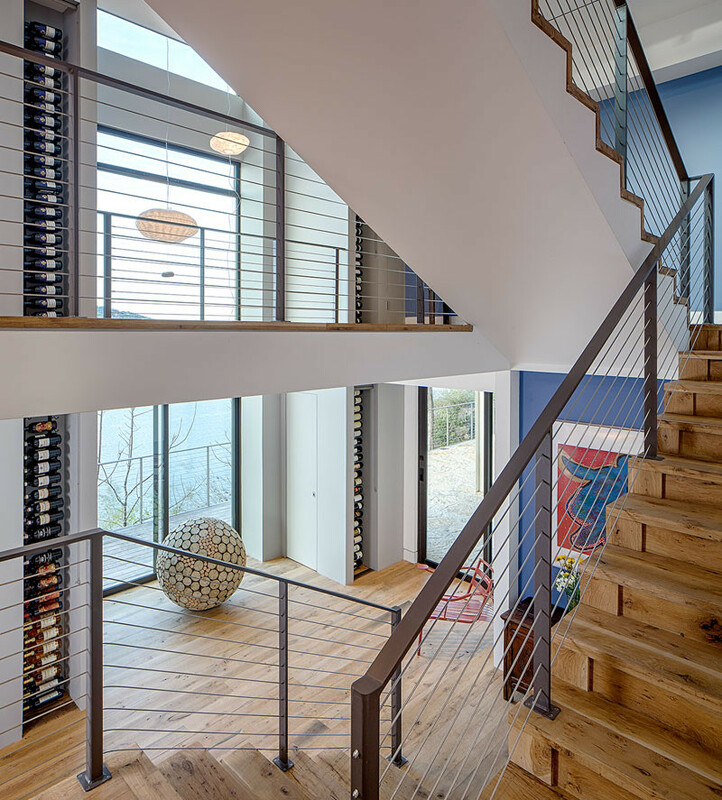 Built-in wine racks provide plenty of storage for their wine collection. 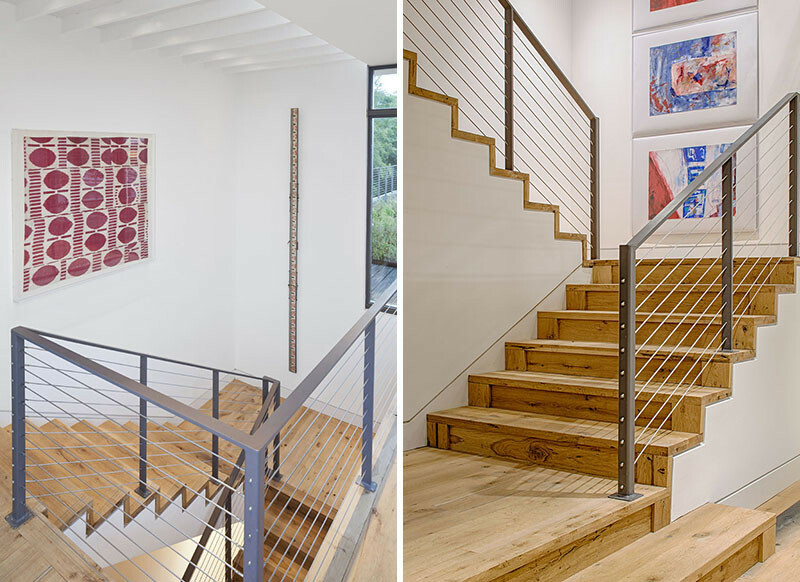 The wooden stairs with metal handrail guide you between the different levels of the home. 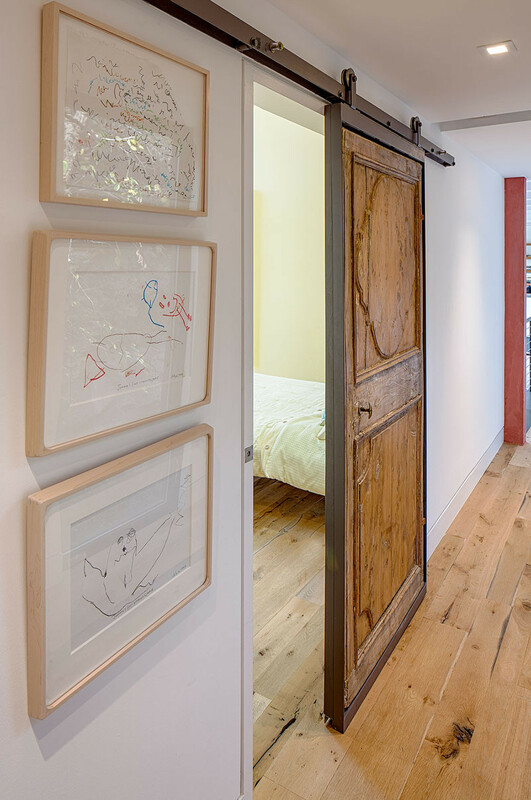 A sliding door on tracks welcomes you to one of the bedrooms. 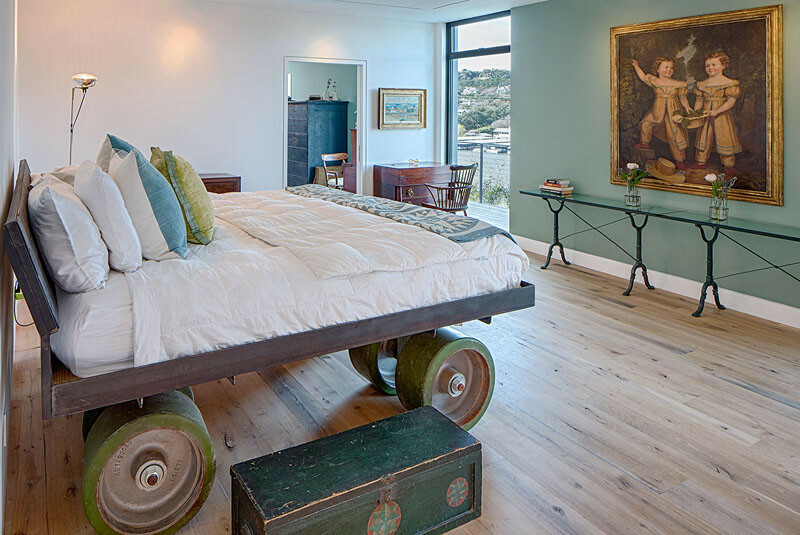 In this bedroom, the bed is positioned on top of a platform with huge wheels. 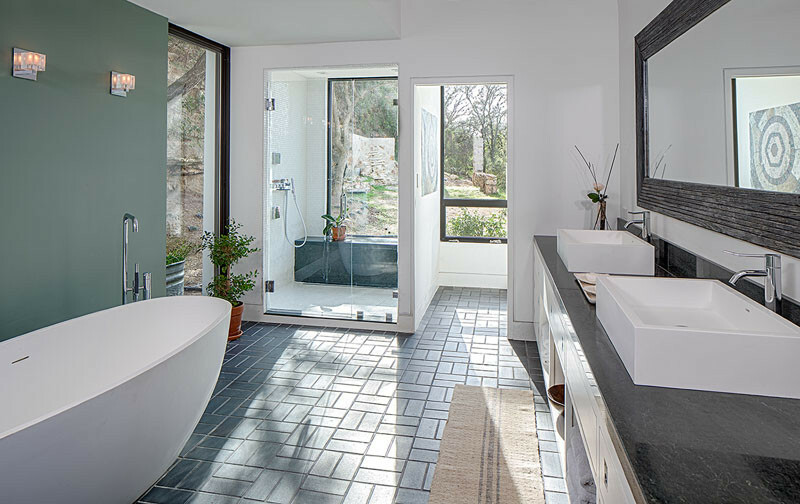 The bathroom is filled with light from the three windows.